This module facilitates evaluation of the characteristics of the TGS3870 gas sensor for the detection of both methane and carbon monoxide. 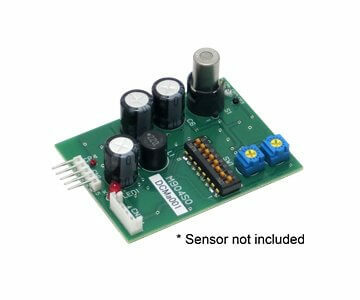 Testing is simplified by using a continuous output signal generated by this module. 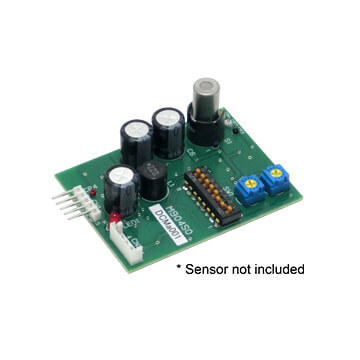 While the driving mode of TGS3870 involves a 20-second heater cycle for intermittent detection, sensor response is converted into a continuous voltage signal by the software contained in the module’s microprocessor.